WHO NEEDS WEDDING PERFECTION? Whether you know someone who is getting married, or in the middle of planning your own wedding, Wedding Perfection is for you. 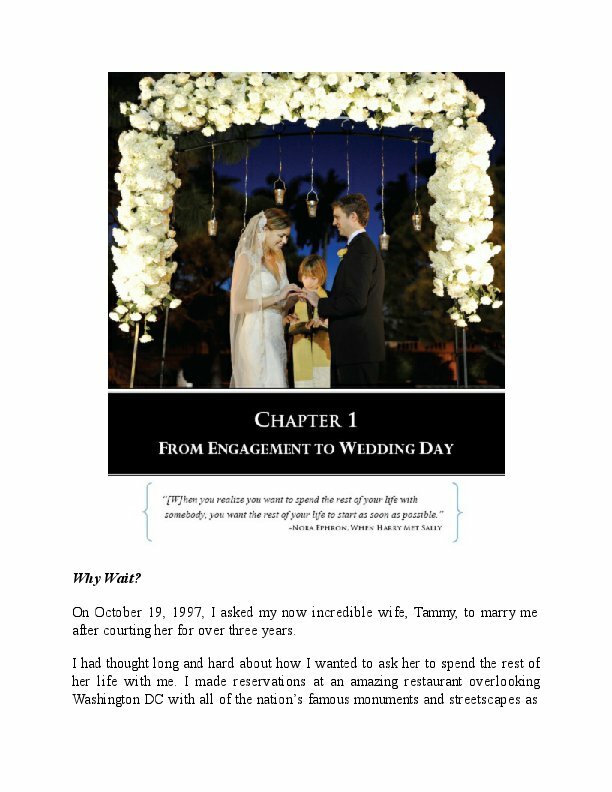 This book clarifies uncertainties and answers many questions every couple has about their big day. Wedding Perfection is an on-the-go reference guide, wedding planner, and therapist rolled into one. There is no reason why the most important, fun, special day of someone’s life should be tainted by uncertainty, stress, or uninformed decisions. Some of the issues addressed in this book include: > TIPS FOR SELECTING YOUR DATE, TIME, AND LOCATION > HOW TO PROPERLY RESEARCH AND HIRE VENDORS > THE PERFECT WEDDING ITINERARY (EXCLUSIVE) > HOW TO DEAL WITH WEDDING STRESS > TRUE WEDDING HAPPENINGS (& NIGHTMARES) > COLORFUL PICTORIALS & CELEBRITY WEDDING RECAPS Brides, this book is your roadmap. It will guide you down the path to the wedding of your dreams with sage advice and some much-appreciated humor. 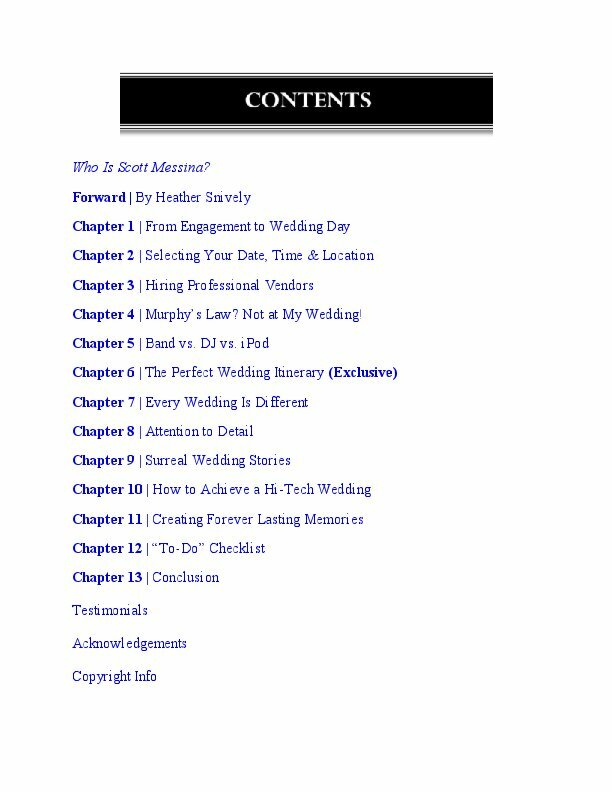 For all you grooms, this book is your trusted Wedding Cliff Notes that will help you understand the psychology of a wedding so you can support your lovely bride-to-be! As you read along, you will probably wonder how Scott Messina has taken numerous years of planning wisdom, and consolidated it all into one book. The answer is simple: direct, honest, full disclosure. 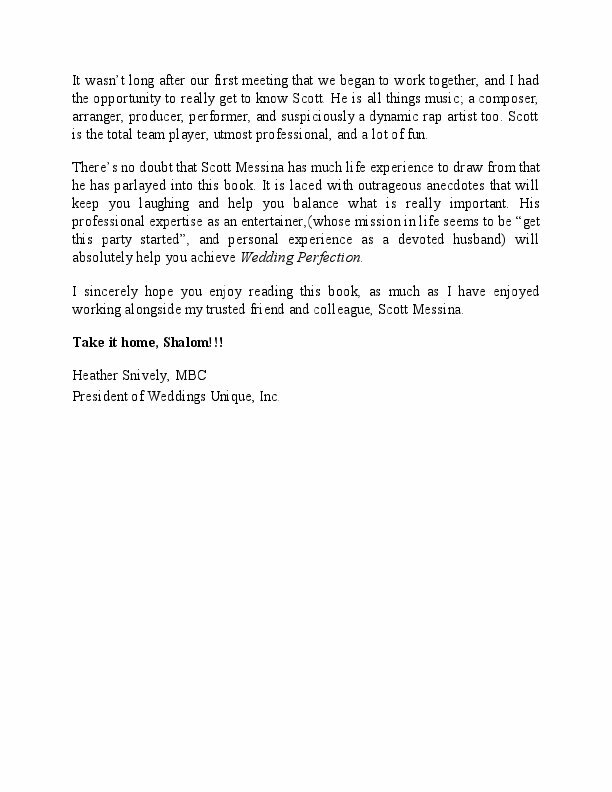 This book is told from the perspective of an experienced wedding professional who tells it like it is... for better or worse! 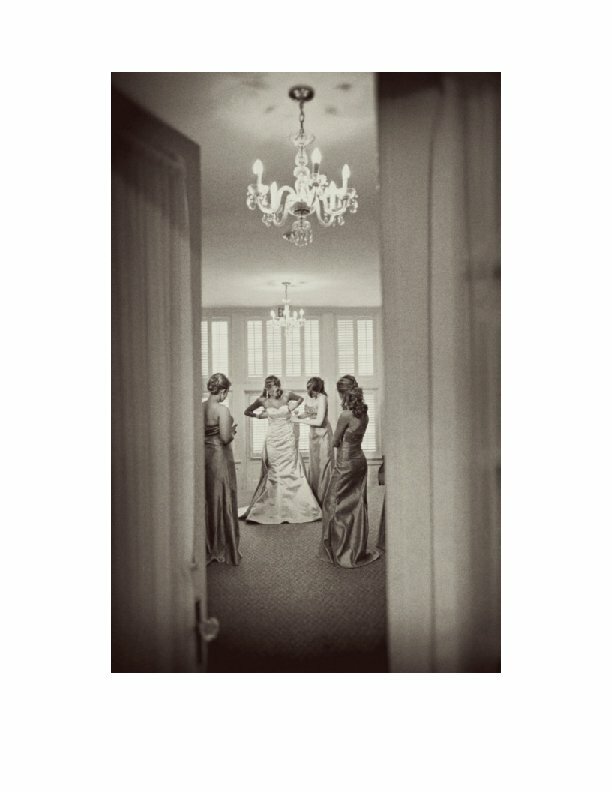 Wedding Perfection is a distillation of two plus decades of research. Armed with Wedding Perfection, you will gain confidence and learn about both the right and wrong way to proceed on this memorable journey. SCOTT A. MESSINA is one of the nation’s leading experts on entertainment. Author, and former Vice-President of marketing at The Knot, Inc. Alan Berg, deems Scott “masterful” and “a man of integrity.” President of his own full-service entertainment and Production Company, Messina Productions, Inc., and CEO of iShowcase® (an advanced marketing and professional network), Scott has answered his clients’ urges for him to put his experience and advice to paper. Since 1992, Scott has produced and provided entertainment for Fortune 100 companies, top celebrity personalities, and thousands of others. 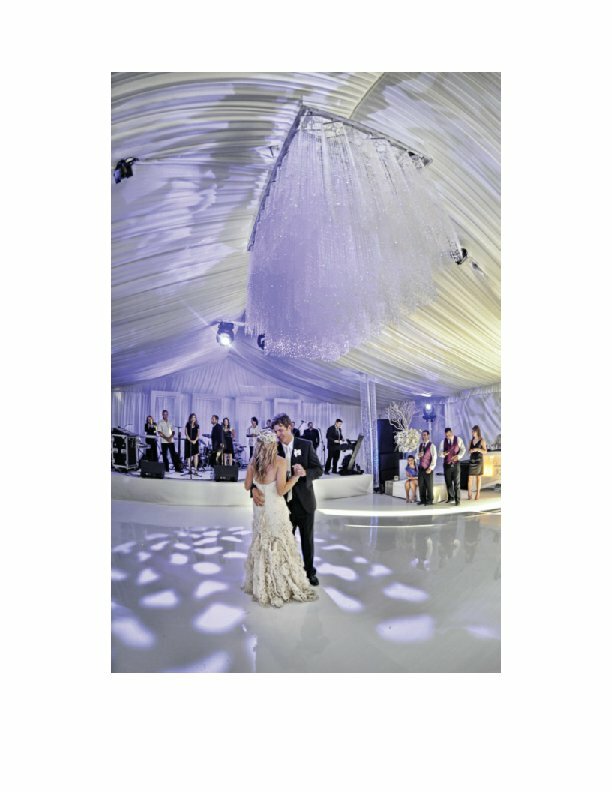 From top dollar elite platinum weddings to corporate conventions, concerts and house parties, Scott has over twenty years of experience, stories and information to share. His celebrity weddings have been featured on, "Entertainment Tonight," WEtv's "Platinum Weddings," "InStyle," "OK," "The Knot," and "Lifestyle" Magazines. 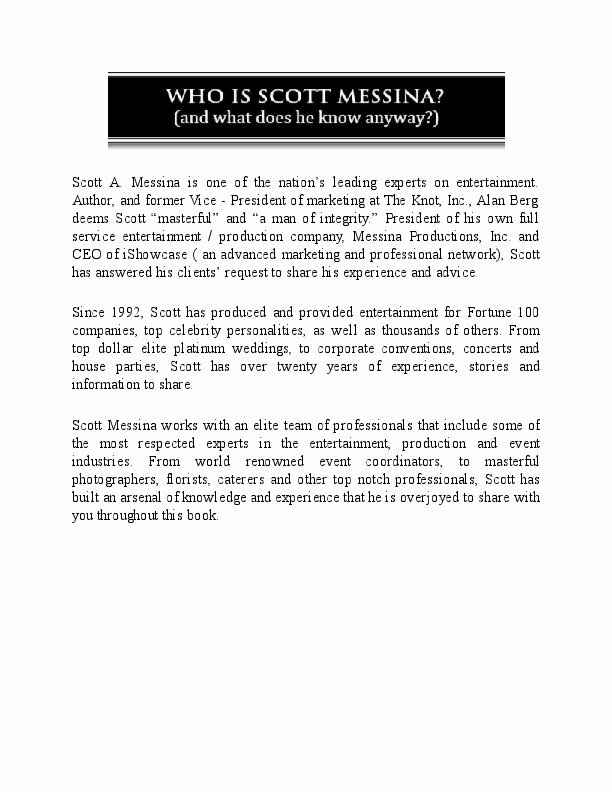 Scott Messina works with an elite team of professionals that include some of the most respected, leading experts in the entertainment, production and event industries. 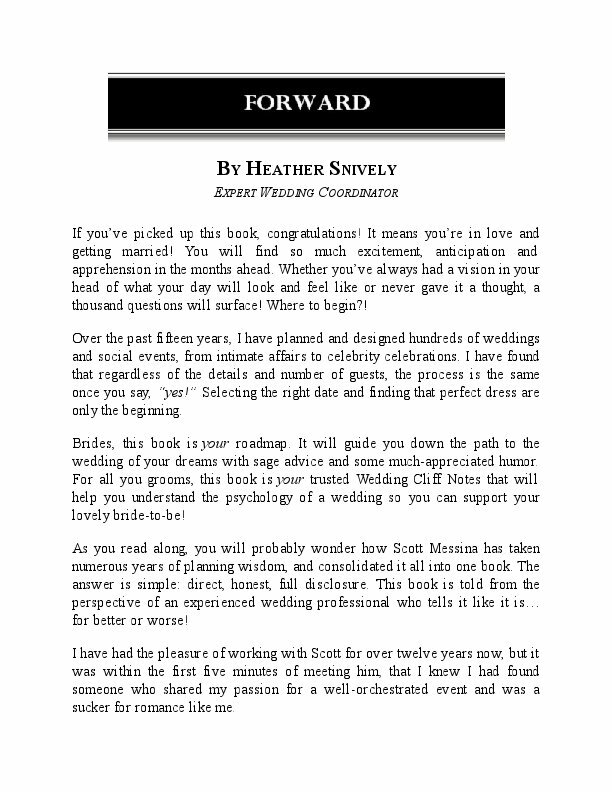 From world-renowned event coordinators, to masterful photographers, florists, caterers, and other top-notch professionals, Scott has built an arsenal of knowledge and experience that he is overjoyed to share with you throughout this book.